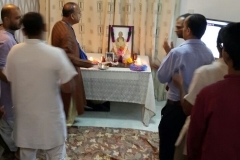 Vysa puja celebration in Dubai (Damodardesh) Hare Krsna to my spiritual family, Kindly accept my humble obeisances.All glories to Srila Prabhupada.All glories to our Dearmost gurumaharaj. 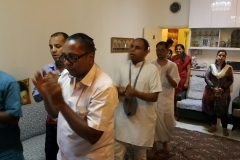 On Ashadhhi Ekadashi we disciples and aspiring disciples were fortunate to be hosted by one of our godsister H.G Kalindi Krishna mataji to celebrate gurudevs 66th vysa puja.We started with kirtans by Vishnu and Rishabh was playing mridanga ,followed by guru puja done by H.G Radha Pandharinath prabhuji and pushpanjali by all.After that each one of us read our offerings. 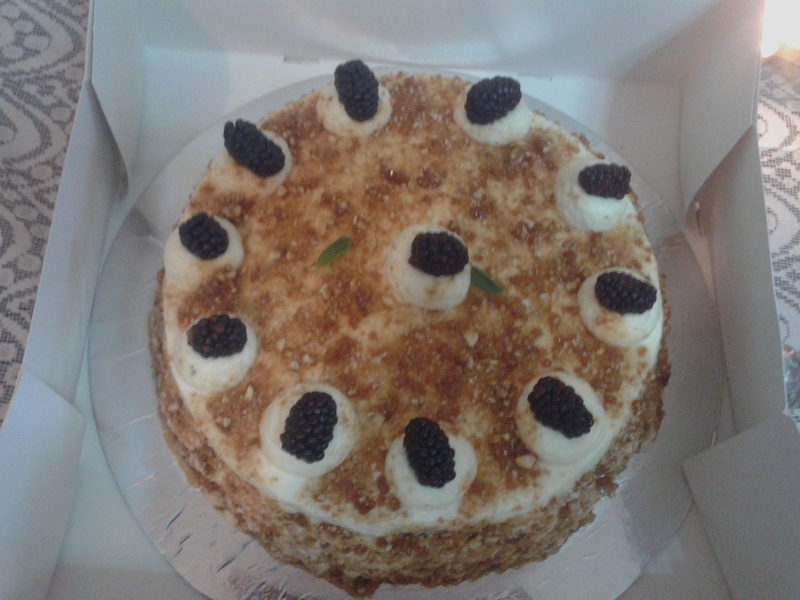 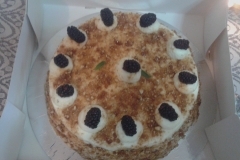 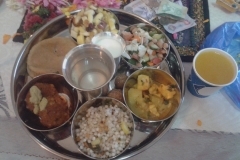 Krsna Prasad was offered to gurumaharaj along with the cake.H.G Kalindi krsna and H.G Shrihari prabhu madepuris,aloo,lauki and paneer mix subzi,H.G Sudevi mataji brought sabudana vadas and chutney,H.G Baladev nitai prabhu brought fruit salad with nuts.Cake was also made to order by H.G Kalindi krsna mataji to a devoteee H.G Krsnapreshta mataji who makes excellent cakes(do see the picture*:) happy)Shyamalangi devi dasi made boiled peanut salad and peanut jaggery ladoos.H.G Beena mataji made sabudana kichadi and fruit juices by H.G Acintyaroop prabhu.All the bhoga was made for the pleasure of shri shri Radha Madhav and gurumahraj Shyamalangi devi dasi also read notes of class given by gurumaharaj on vysa puja day in pandharpur. 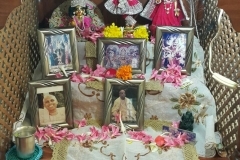 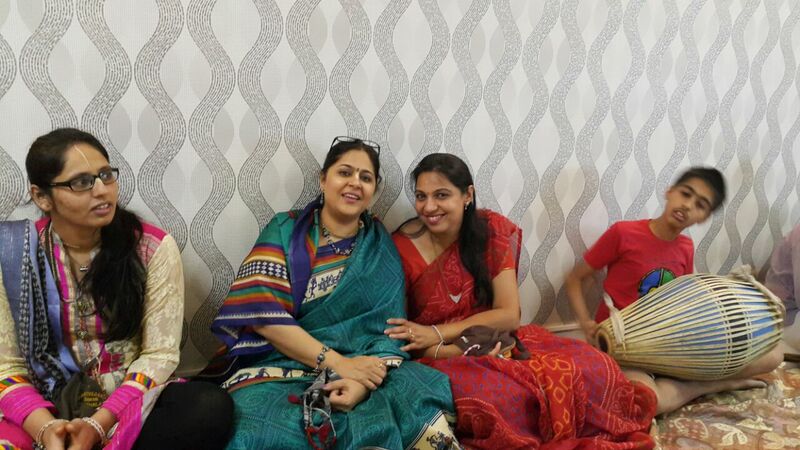 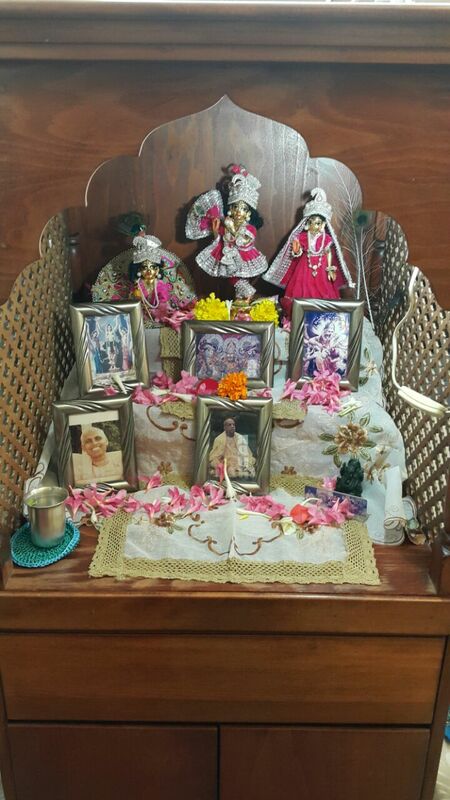 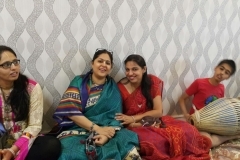 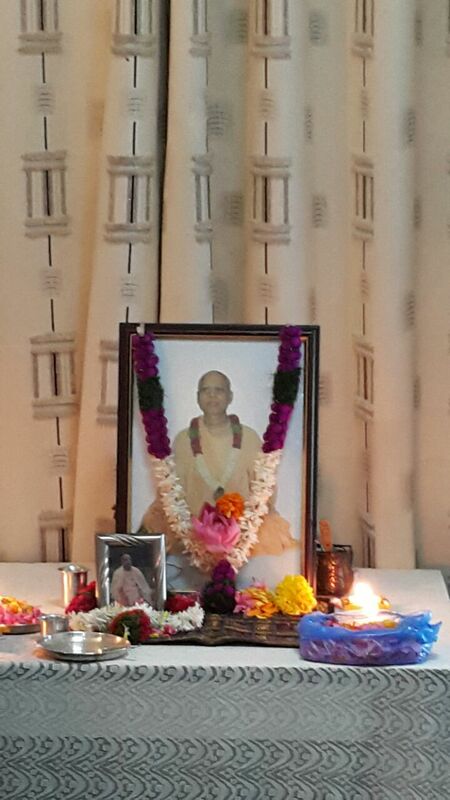 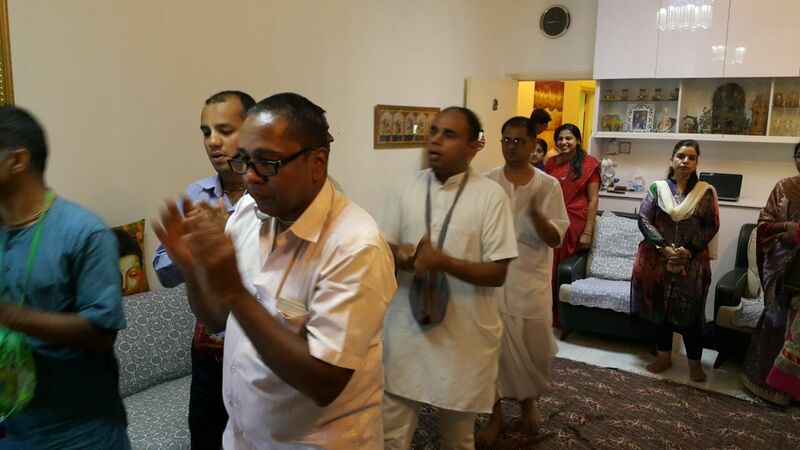 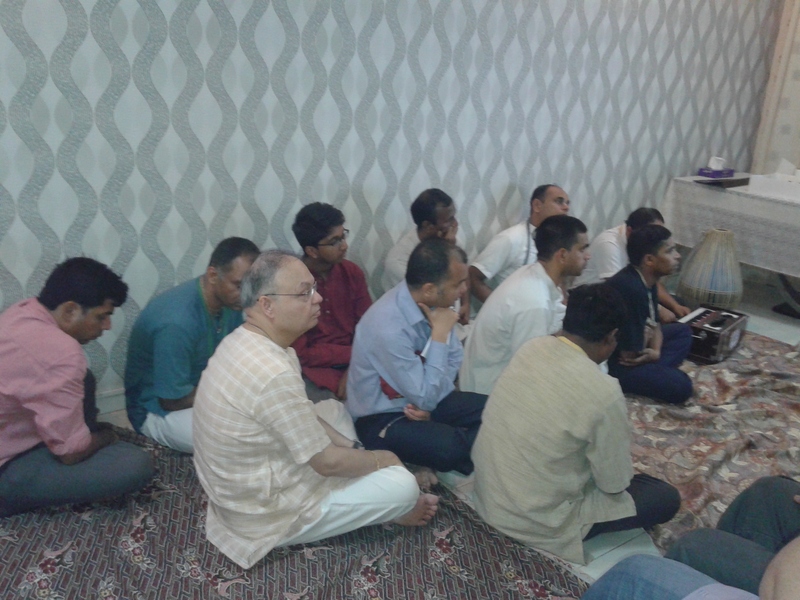 Well its not over yet.In Dubai we have Friday weekly prog and not sunday love feast like other temples around the world have.In Dubai sunday is a working day.Fridays is a weekly holiday and friday also being vysa Purnima was a wonderful day to celebrate vysa puja again with so many other devotees of damodardesh. 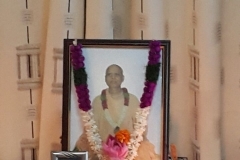 We started with H.G Parmeshwar Thakur prabhu giving introduction of Our Beloved Gurudev.Some other devotees also spoke of their realisations of Gurumaharaj.There was pushpanjali done by around 500 devotees. 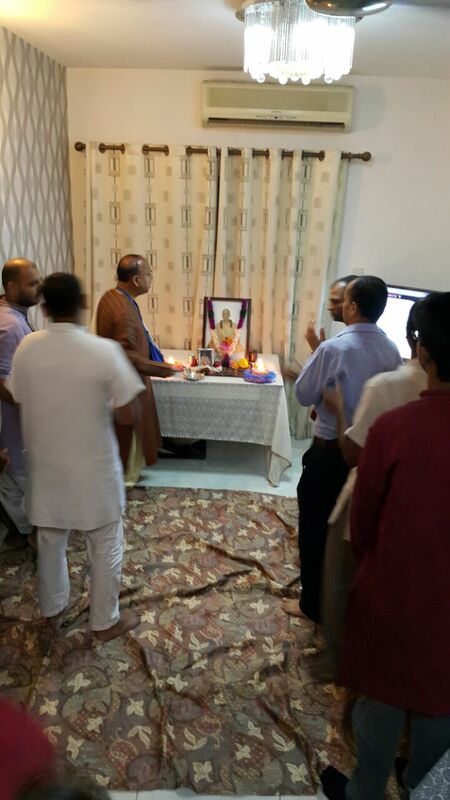 H.G Prem muskur prabhu made a power point presentation of gurumaharajs vysa puja celebration picts from pandharpur which was shown to all along with the poster of the new book On big screen. 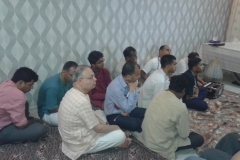 Shyamalangi mataji spoke abt Gurumaharajs new book Vraj Mandal Darshan Few devotees have committed to buy the book. 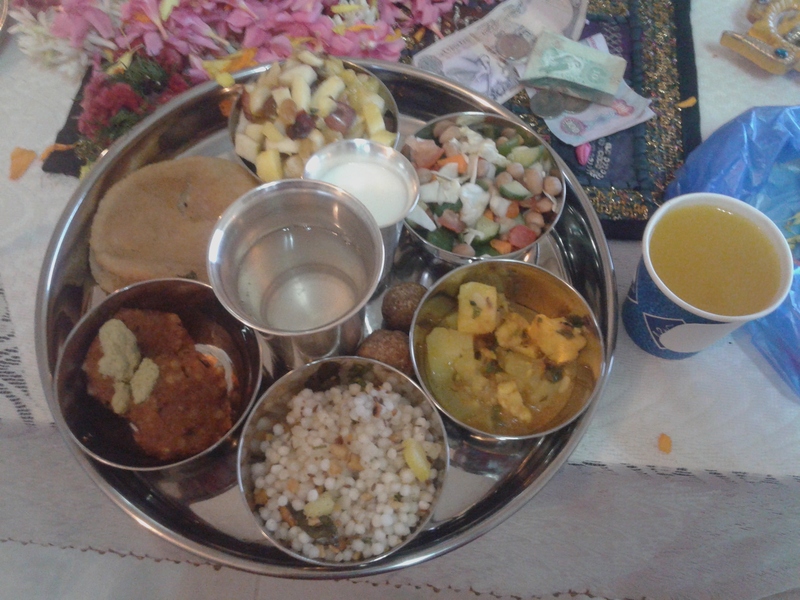 In this way we had a wonderful vysa puja celebration on both the days ashadhi ekadashi and Guru vysa Purnima.